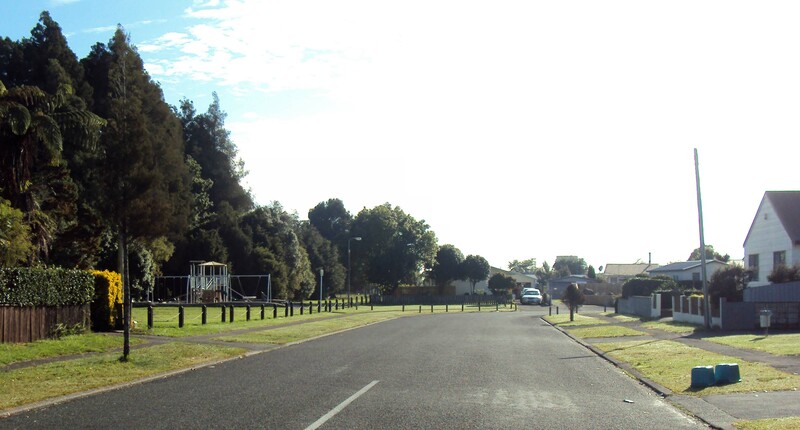 In the Crawshaw/Brymer area, Mooney Park neighbourhood stands out as a bright area: it has population growth; it is close to schools and has plenty of leisure areas, which is attracting young people whose incomes are increasing at a rate above Hamilton’s average, between 2001 and 2013. Mooney St is one of the closest residential areas to Wintec’s Avalon Campus (2.2km 10min cycle 25 min walk) and the large employment areas between Avalon Dr and the railway. 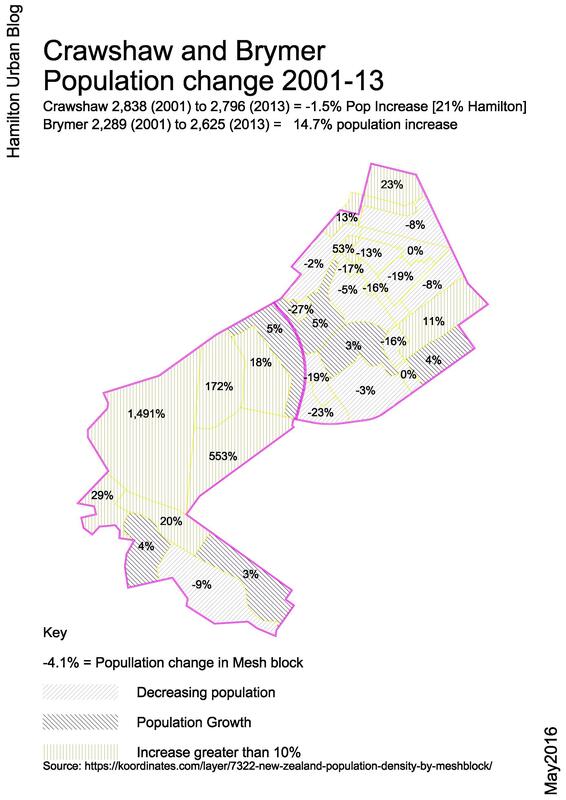 It is notable that the Brymer area (lower area of image) has double digit population growth. The new residents tend to be older, with higher than average incomes, which is nice. 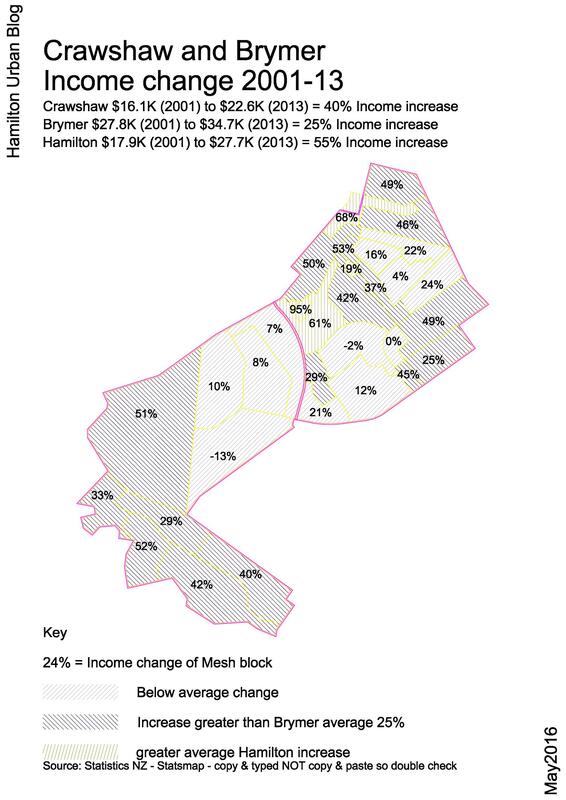 However, these incomes are not increasing at the same rate as the average person in Hamilton city or Crawshaw. The local parks are very good, but the area has limited land use diversity, reducing the long term attractiveness for younger people. 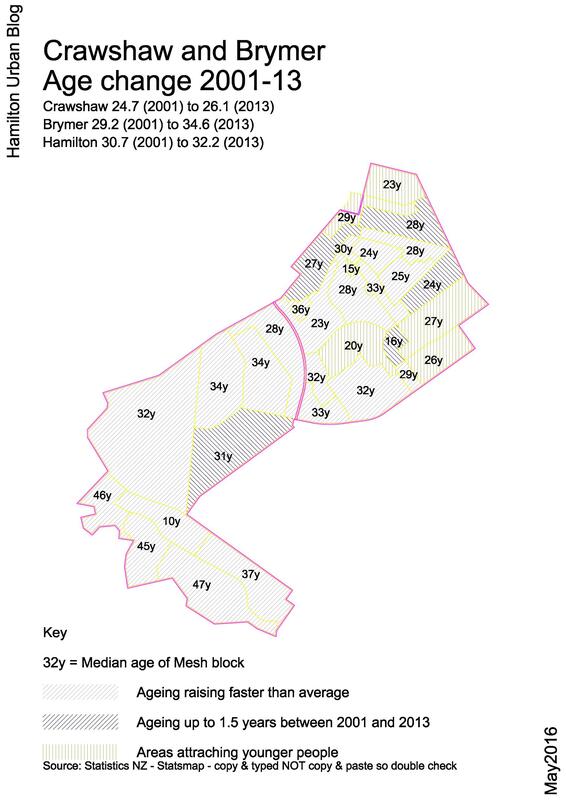 Let’s say Brymer has Location (accommodation), Location (parks), Location (something maybe missing at this point).